They charged us 15 euro for two cups of coffee in the morning. Facilities in the room were excellent and the room was very clean. Dinner in the restaurant was well cooked and very tasty. Served good German beer at a very reasonable price. Sat Nav had no problem finding this hotel. Заселили за 3 минуты. В номере тихо. Чисто. Есть минихолодильник. В с/у ж.мыло , шампунь и фен. Кровати суперудобные, вставать не хотелось. До центра 3 мин, до остановки автобуса на аэропорт - 5, до ж/д 10. А ещё есть зоны отдыха на лоджии 2 этажа и перед входом. А ещё есть свой ресторан, но мы не попали. Были только одну ночь. Le repas du soir était délicieux. La gérance est très sympathique. Nous avons pu bavarder malgré notre allemand de base. Emplacement idéal. Agréable séjour. Frühstück war ausreichend aber die Auswahl war sehr klein. sehr nettes Personal. Das Restaurant sehr zu empfehlen. Das Essen war super lecker und Preise günstig. Service sehr nett. Hôtel très bien citué à 2 pas du marché de Noël et du centre ville . 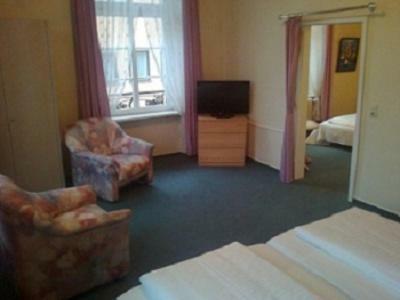 Personnel patient malgré la barrière de la langue..
Gasthaus zum Engel This rating is a reflection of how the property compares to the industry standard when it comes to price, facilities and services available. It's based on a self-evaluation by the property. Use this rating to help choose your stay! This historic, family-run hotel in the center of Rastatt offers free Wi-Fi access, traditional Baden cuisine, and free private parking. The Mercedes Benz plant is just half a mile away. 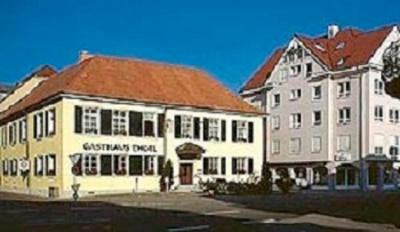 All of the modern rooms at the 2-star Gasthaus zum Engel feature cable TV, a minibar, and a private bathroom. Some face the quiet inner courtyard. A varied breakfast buffet is available each day. 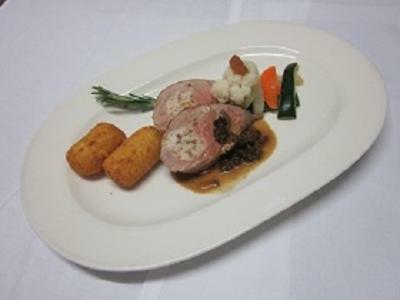 Guests can try regional food in the Engel’s country-style restaurant for lunch and dinner. 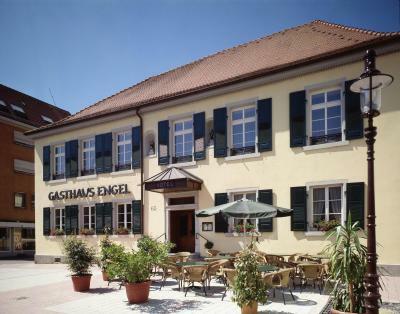 Attractions near the Gasthaus zum Engel include the Schloss Favorite palace, only a 10-minute drive away. The famous spa resort of Baden-Baden is 9 miles away. 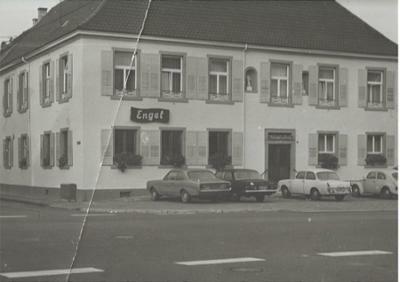 When would you like to stay at Gasthaus zum Engel? 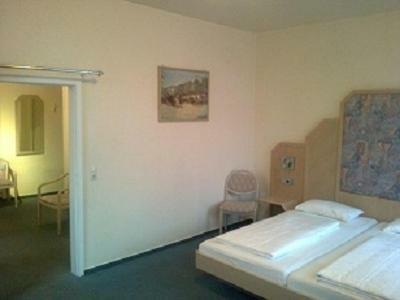 Modern room with cable TV, free Wi-Fi and a private bathroom. House Rules Gasthaus zum Engel takes special requests – add in the next step! 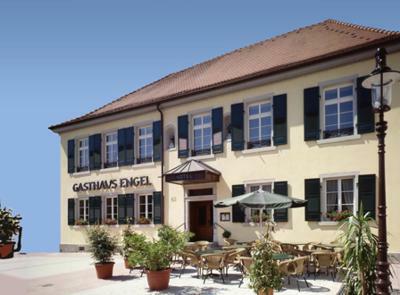 Gasthaus zum Engel accepts these cards and reserves the right to temporarily hold an amount prior to arrival. Our room was in an annexe close to the main building and was right on the main street.